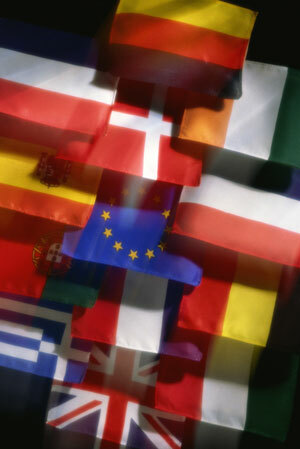 MULTILINGUAL SOLUTIONS FOR TRANSLATION AGENCIES . . .
All translations completed by Sharper Translation Services are carried out under the ATA standards. Our services are provided by licensed professionals. Sharper offers our client agencies special packages that are customized to fit your specific needs. We manage the complete translation process on our end. Our proofreading and editing process ensures the accuracy of the final translation. We provide you with complete files, formatted to match that of the files submitted. The final product is a full and complete translation, which is returned to you, the agency, before our deadline which is set ahead of the deadline from your client. The entire process can be managed by your assigned Project Manager or can be managed completely by one of Sharper Translation's skilled P.M.
For many years, Sharper Translation Services, Inc. has been providing full translation services to more than 96 translation agencies nationwide and worldwide, call and speak with one of our highly skilled Project managers. We provide support to all agencies under the strict rules and regulations stated in the Sharper Confidentiality Contract. Sharper Translation Services, Inc. is entrusted with many important and highly confidential documents. Confidentiality is among one of Sharper’s most important values to uphold. At Sharper Translation WE SIGN A CONFIDENTIALITY AGREEMENT TO ENSURE YOUR INFORMATION IS IN SAFE HANDS. We have earned the trust of all of our clients and we are devoted to keep it. Call us today to speak with one of our Project Managers about your translation needs!